The Chinese Navy has put their money where their mouth is when it comes to their interest in the world's largest hovercraft. They have already bought two giant Zubr Class hovercraft from Ukraine, and are building two in China. Apparently four of these mammoths are not enough in the short-term, as China has now purchased Greece's entire inventory of Zubr Class hovercraft outright. The story of the Soviet-era Zubr Class, how Greece, a NATO country, ended up buying them in the first place and how and why China got their hands on the design is a pretty amazing story, one you can read all about here. But what is most eye opening is that Greece is selling China a unique 'access' capability, one that could have a large impact on other NATO friendly countries in the Pacific region. Is This Giant Soviet Era Hovercraft China&apos;s New Access Weapon Of Choice? 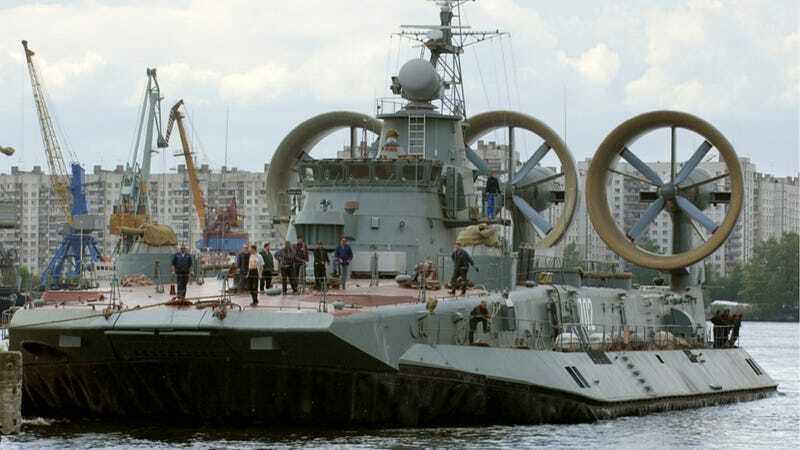 "As the Zubrs were all constructed in either Russia or Ukraine, the sale of these hovercraft does not violate any current NATO rules against arms transfers to China." Seeing as Greece does need the money and has used the giant and complex landing craft less and less over the last decade, the move to sell them seems logical. Although, it is unclear how other NATO members will take it, primarily the US. Regardless of what America thinks, China will soon boast a uniquely credible, high-speed, far over-the-horizon beach landing capability. One that can be deployed without the use of nearby large amphibious warships equipped with well decks along with their lumbering escorts. It is not exactly clear what China will do with their ex-Hellenic Navy Zubrs, maybe a portion of the fleet will be used for parts, although this is doubtful seeing as China can now build new parts at will. It is more likely that these four high-speed heavy hitting hovercraft will be upgraded with modern defensive and navigation systems, just as China's existing Zubr Class hovercraft have been and put to work in the active fleet. As to their exact mission, or target as it may be, there is still no definitive answer, but seeing that China's expanding claims on islands far to its south and east, it is quite likely that these will become quite controversial and feared weapons in the region.